Work out your deductible expenses with our handy guide. We know that sometimes it’s difficult to keep track of what’s deductible and non-deductible when it comes to your business. 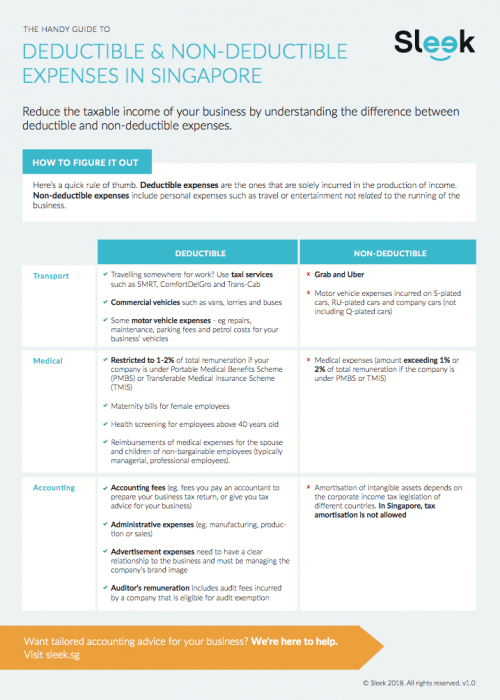 Download our handy guide and never miss out on claiming a deductible expense again. When deductible, they reduce your taxable income and the amount of tax you need to pay - we show you what expenses are deductible. We explain what activities that are paid for by you or your employees, that cannot be deducted as business expenses. Start your business with in-depth knowledge on business expenses from our experts.